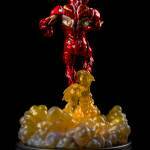 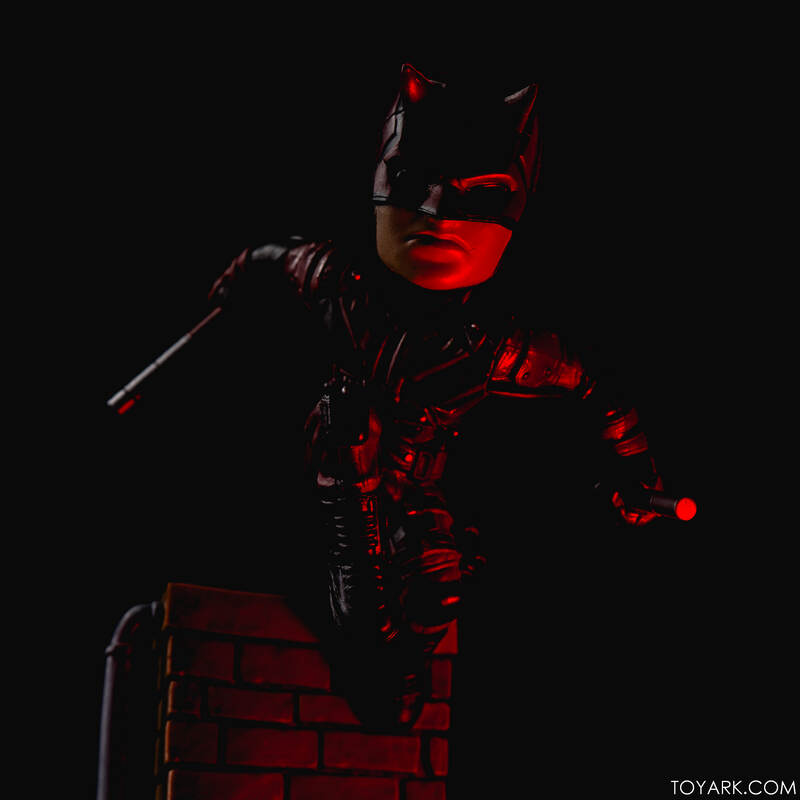 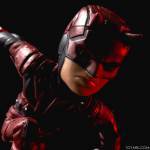 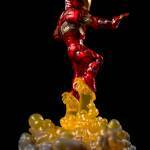 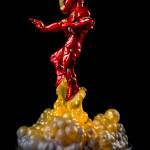 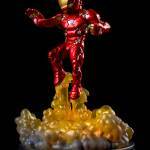 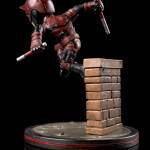 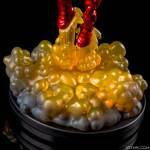 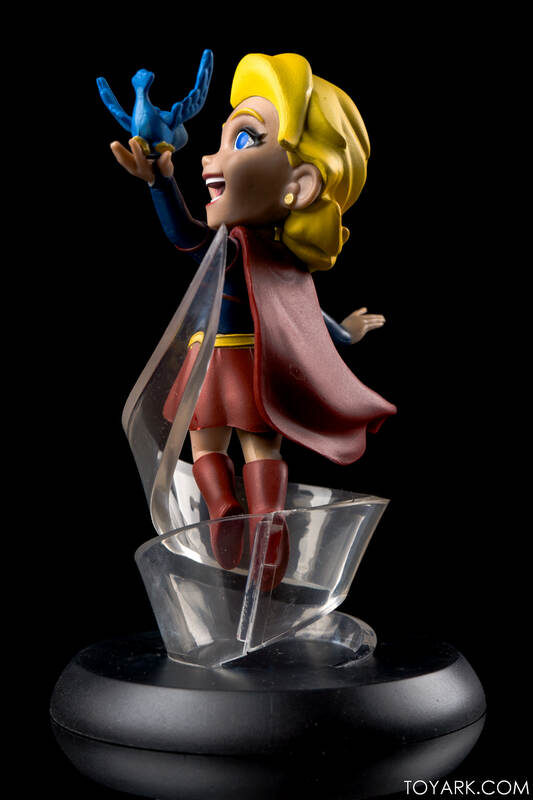 Quantum Mechanix (QMx) produces high quality collectibles with a twist from the standard fare. 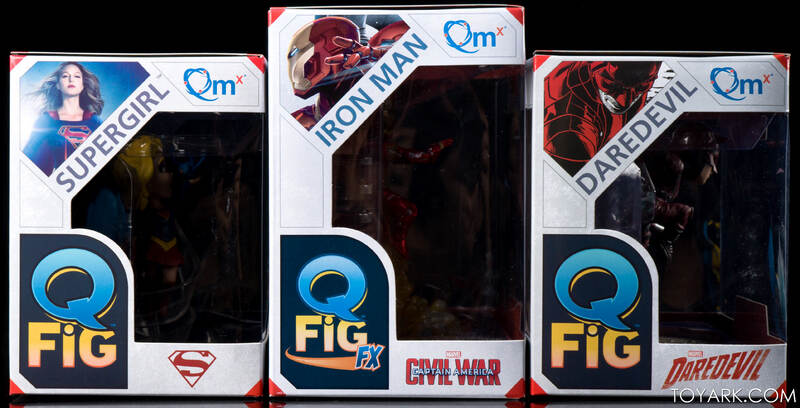 They cover high end prop and ship replicas, 1/6th scale figures all the way down to fun and reasonably priced items like Q-Figs. 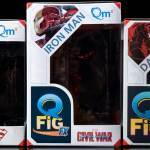 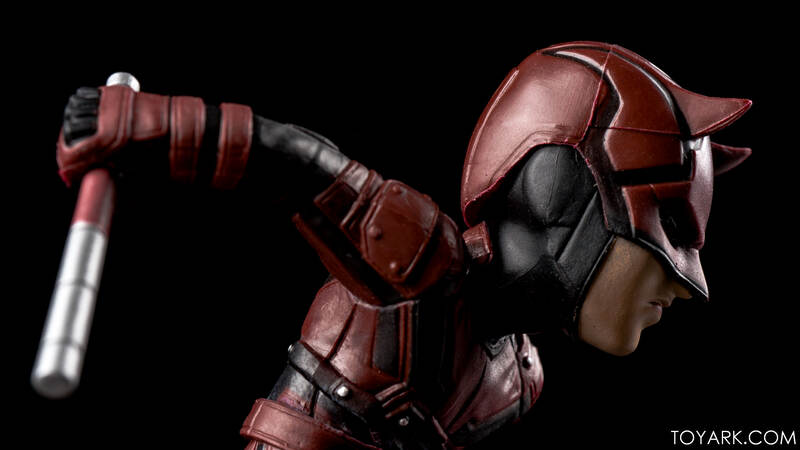 We’ve looked at several of the Q-Fig offerings before. 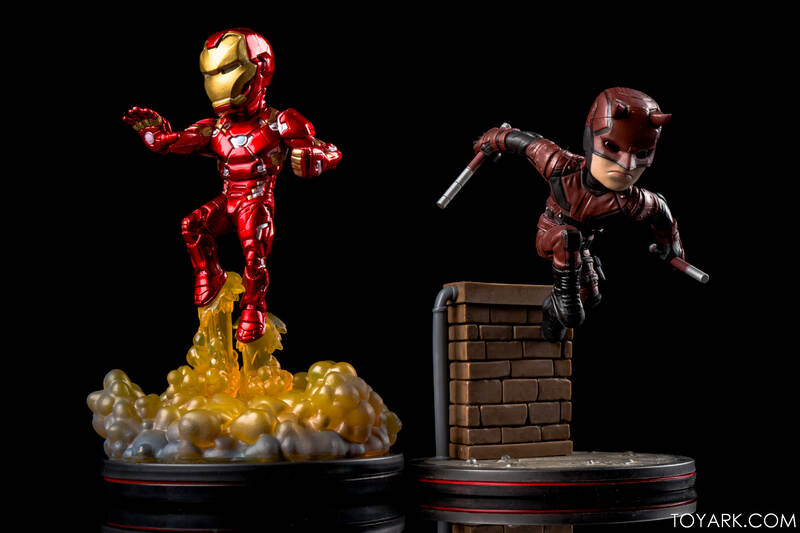 They’re fun, perfect to hang out on the desk and add diversity to a shelf. 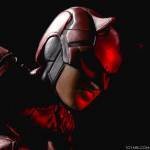 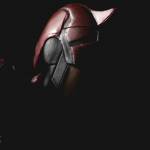 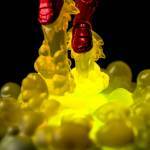 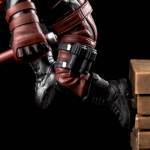 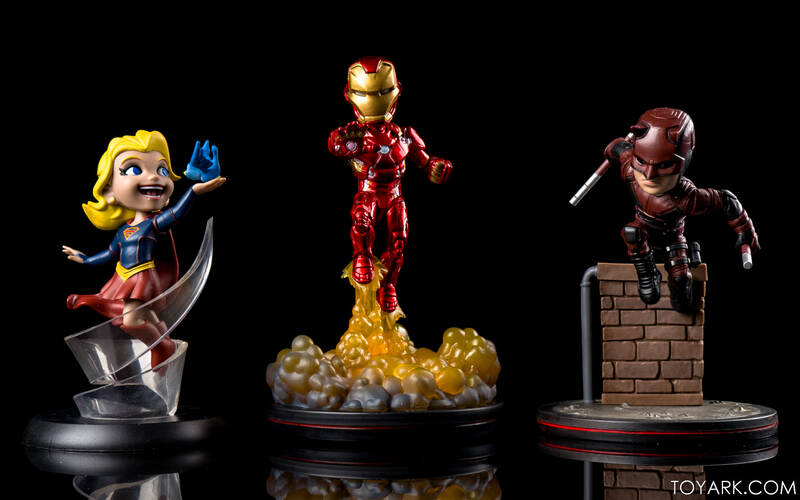 Today we are looking at three more – Iron Man, Daredevil, and Supergirl. 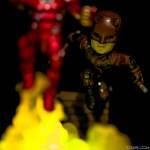 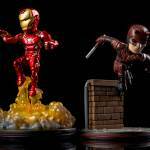 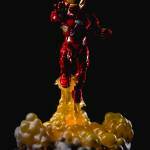 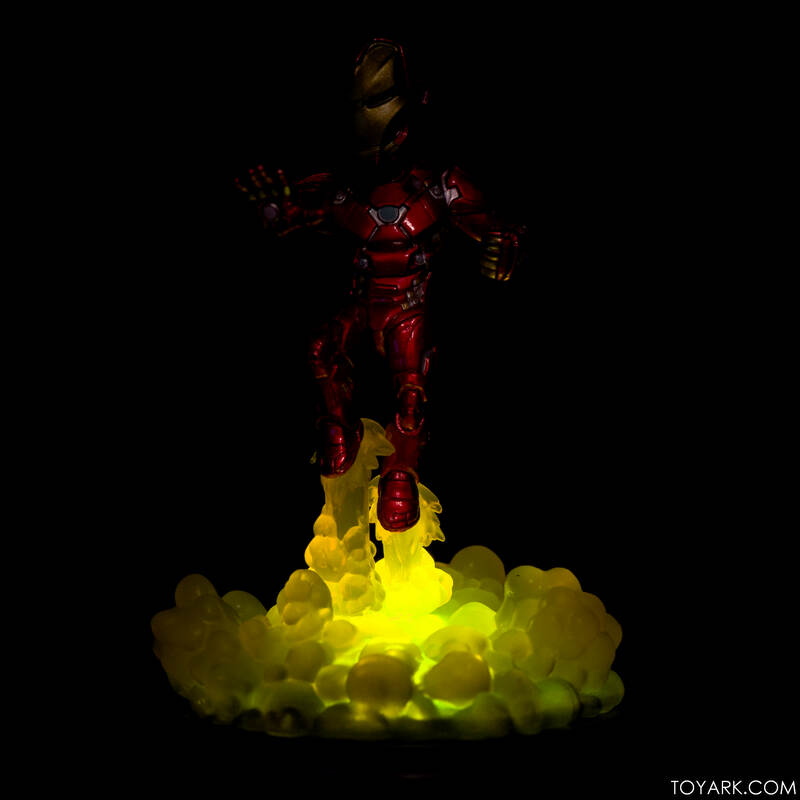 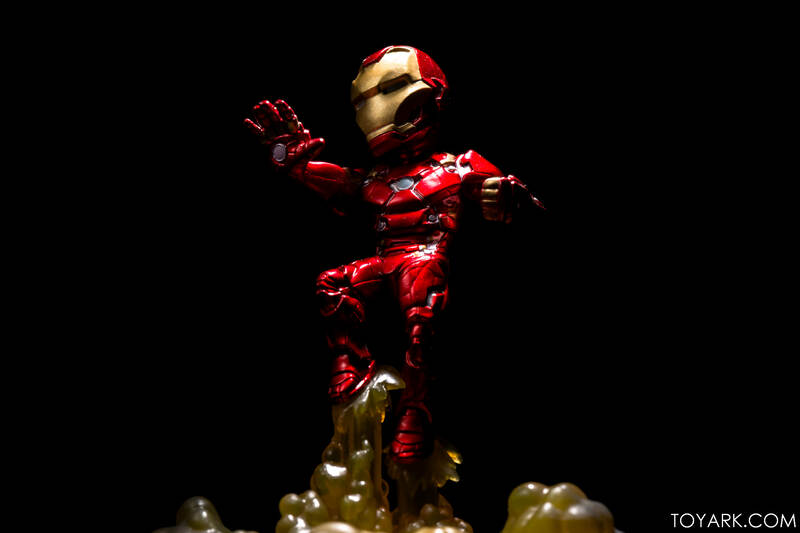 Iron Man features a light up air-gel base while Daredevil (from the Netflix Series) and Supergirl are standard with their diorama base. 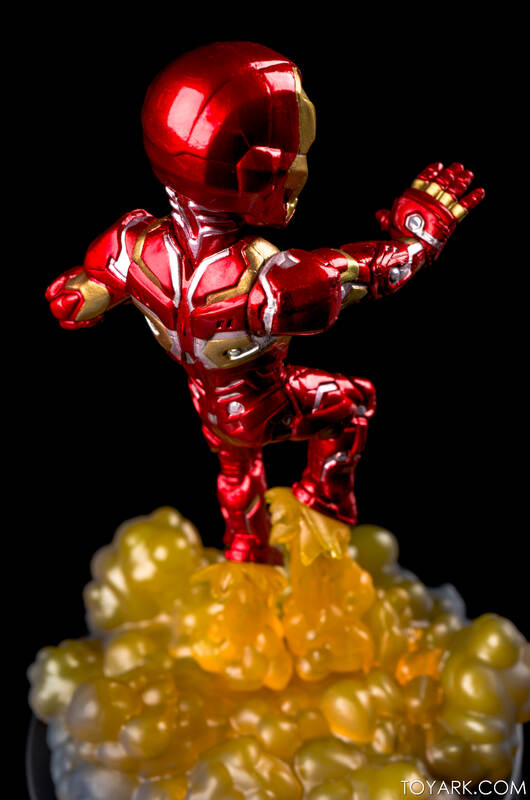 These aren’t Pop! 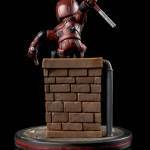 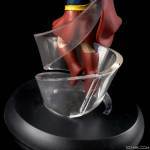 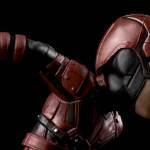 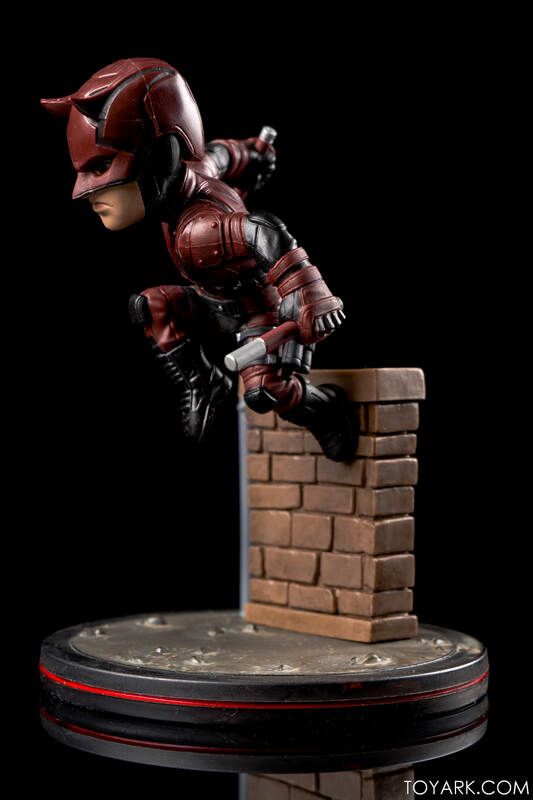 Vinyls by any means, they are injected molded PVC figures with a lot more sculpt, paint and detail going into each. 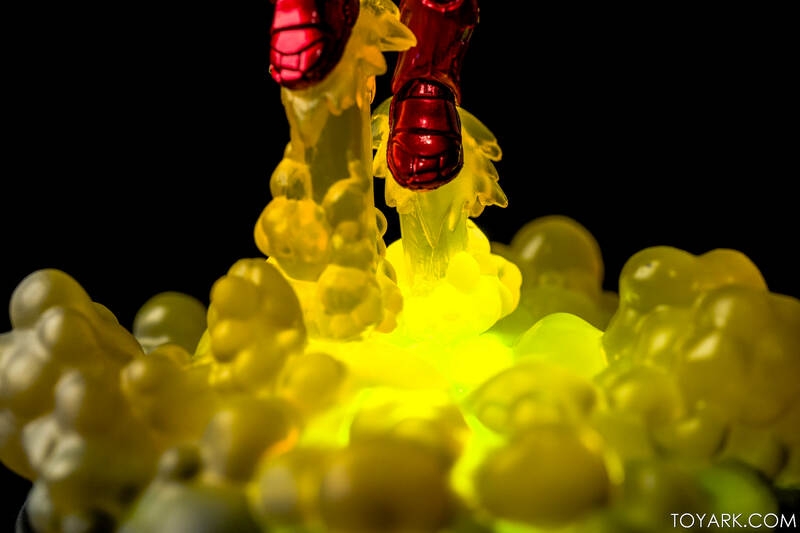 A good bridge between a full on action figure and a Pop! 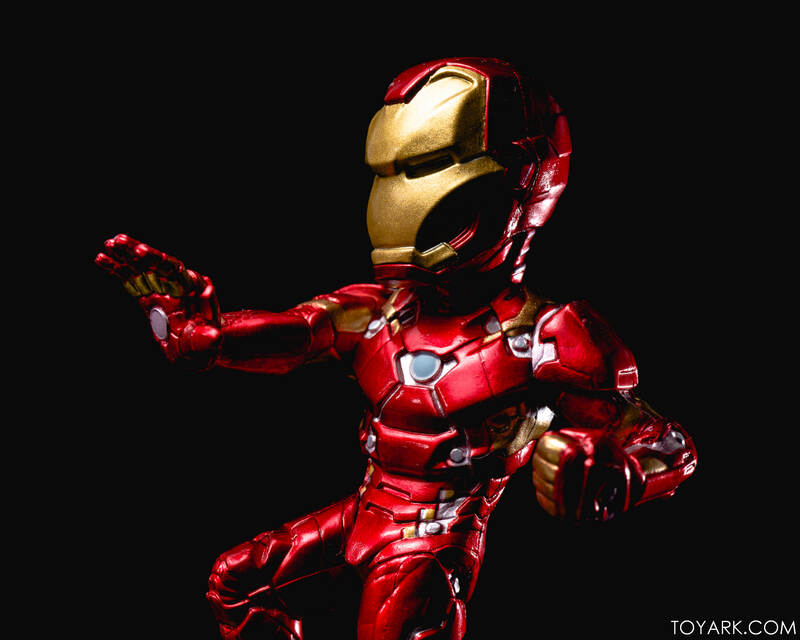 if you ask me. 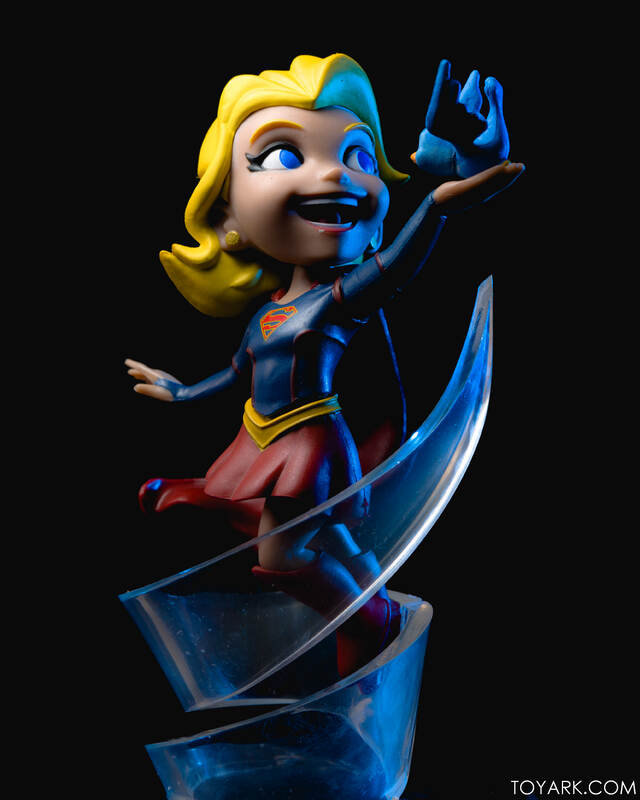 Supergirl and Daredevil run for $14.95 and are now available via qmxonline.com. 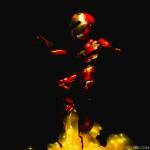 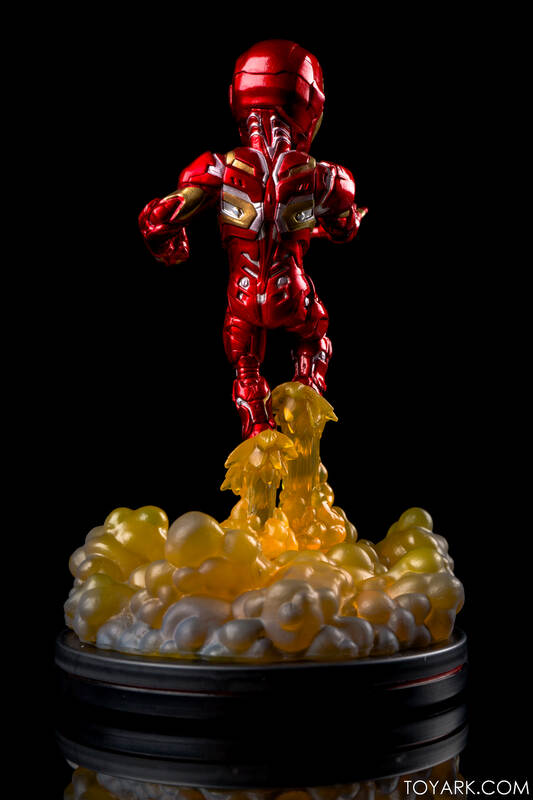 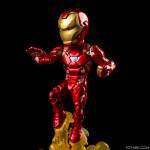 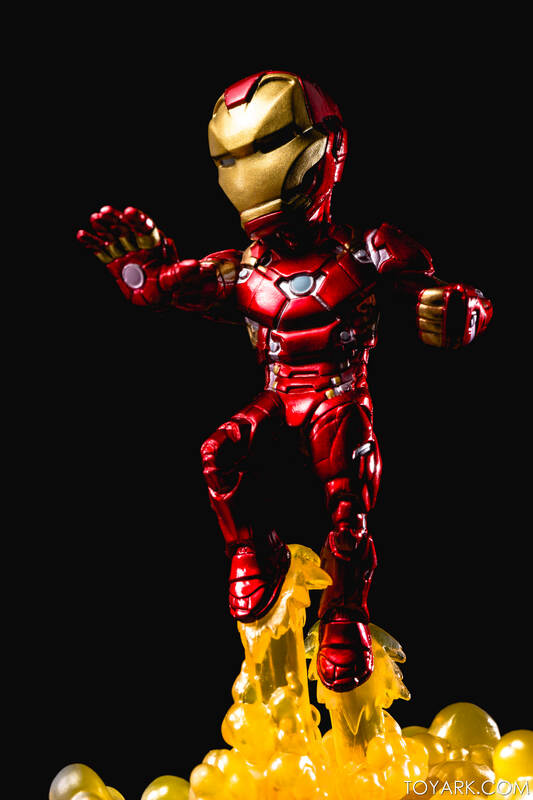 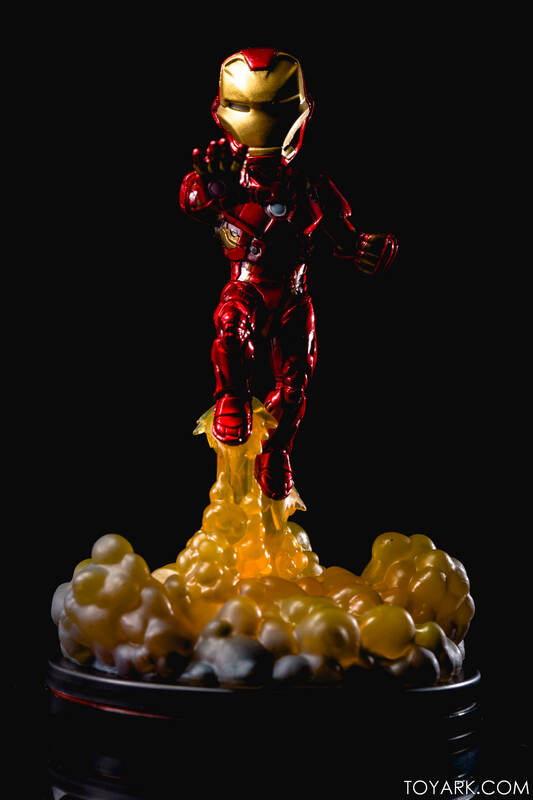 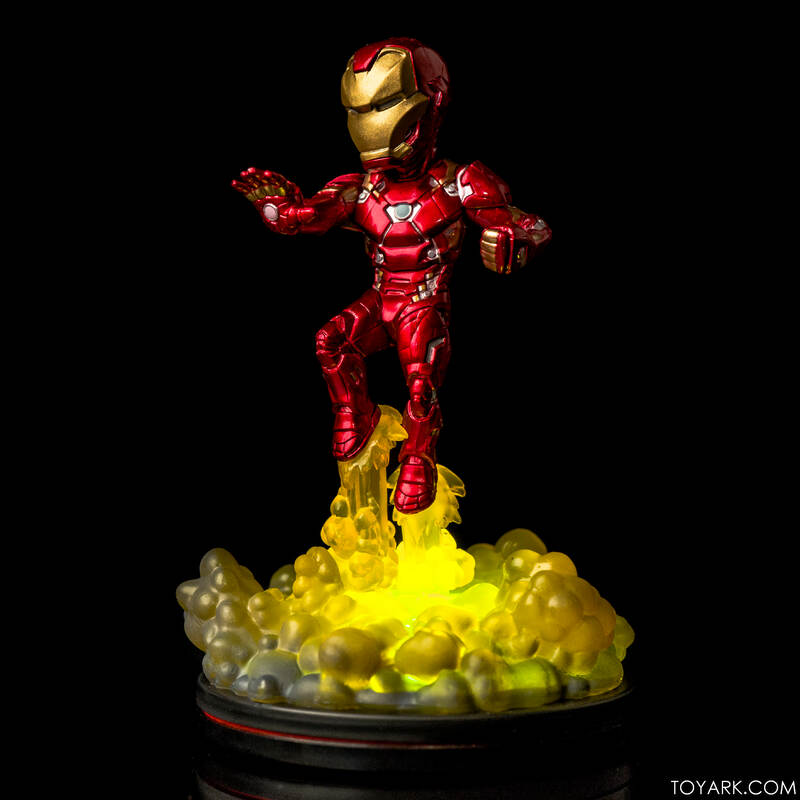 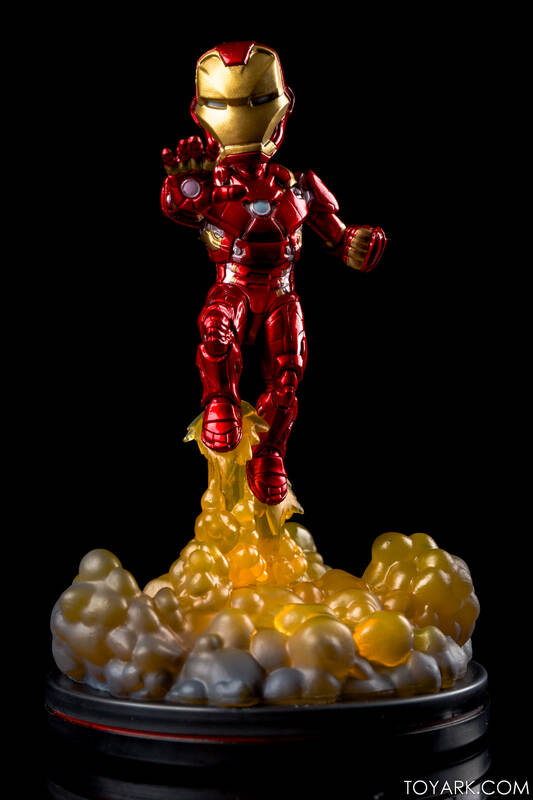 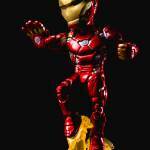 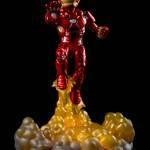 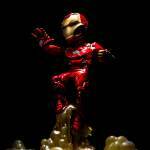 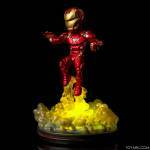 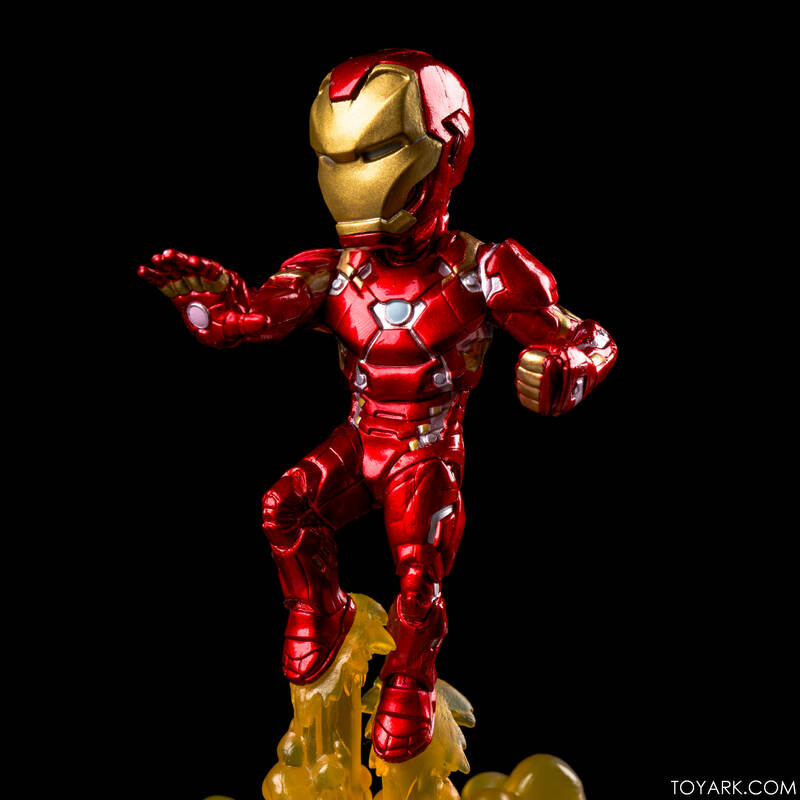 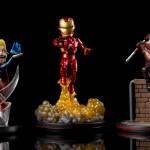 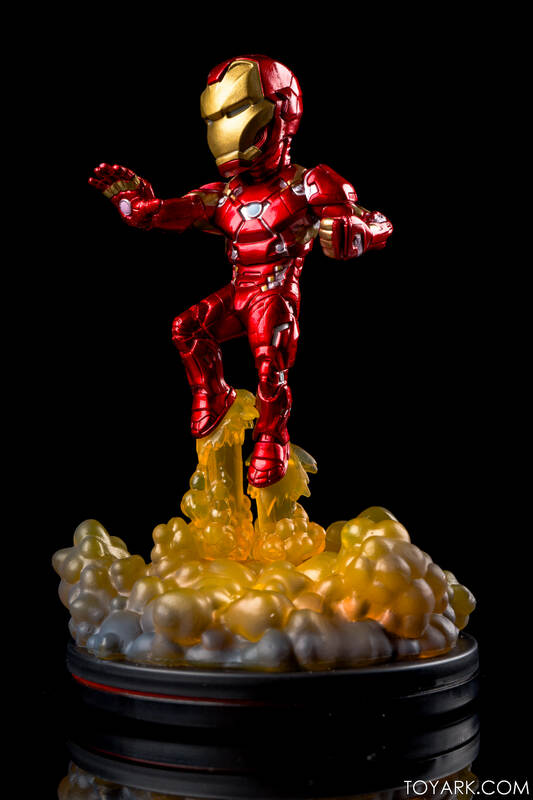 Iron Man is $19.95 and in stock now. 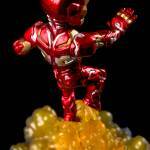 They can be ordered at retailers like BBTS, Entertainment Earth, Hobby Link Japan, Woozy Moo and directly at qmxonline.com. Read on to check out over 50 HD images of the three and some additional thoughts! 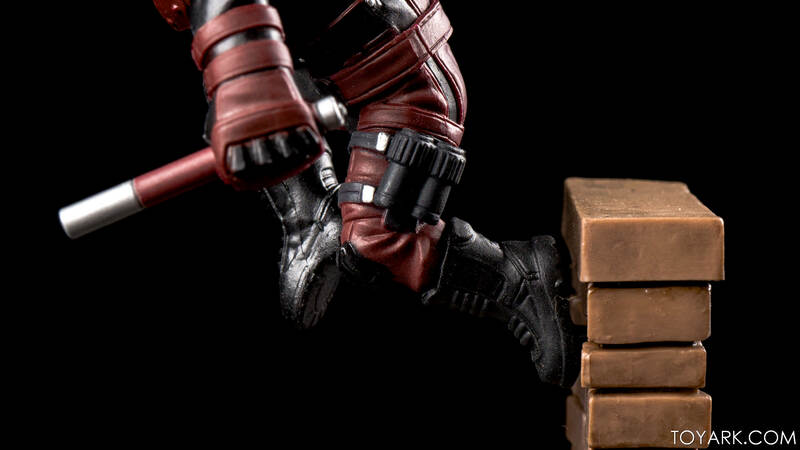 Another solid round from QMx. 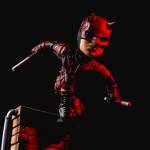 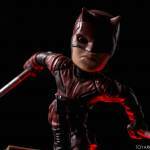 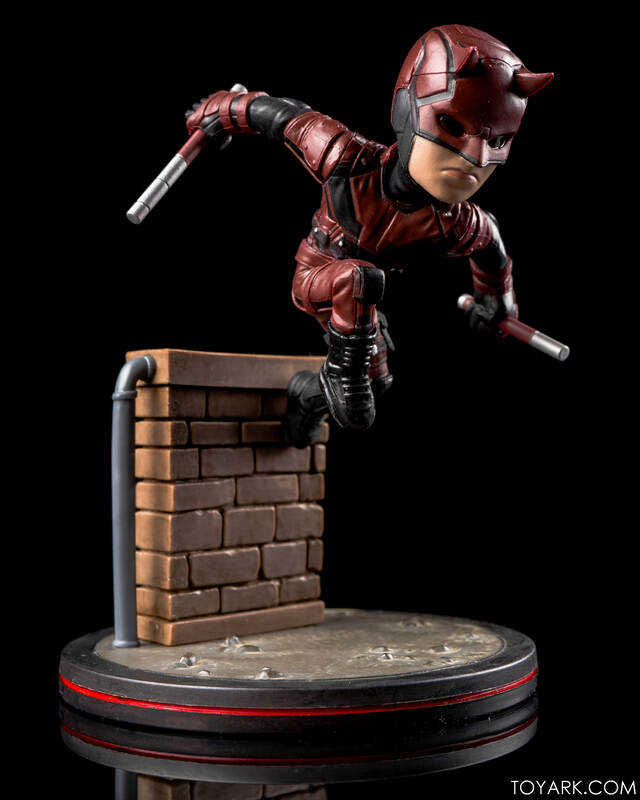 The winner of the bunch is Daredevil. 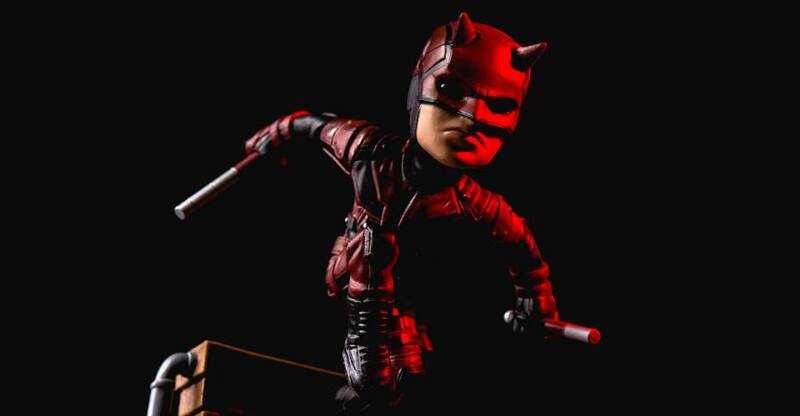 It’s crazy that this is the first figure from the Netflix series I own, but glad I do. 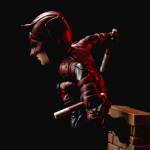 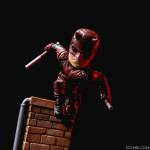 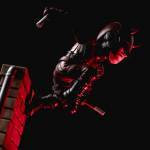 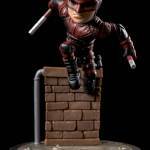 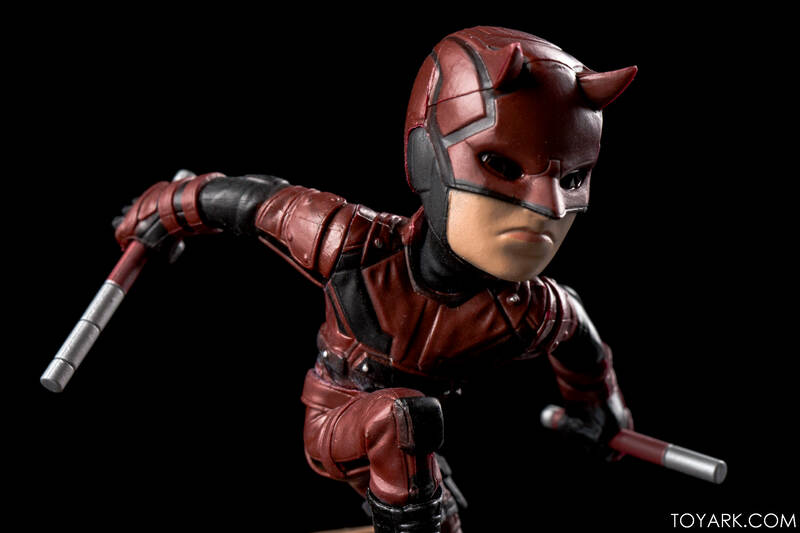 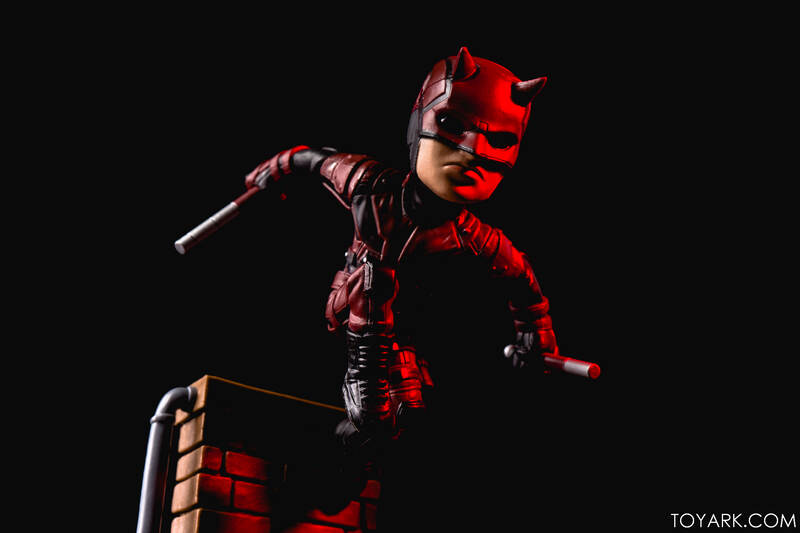 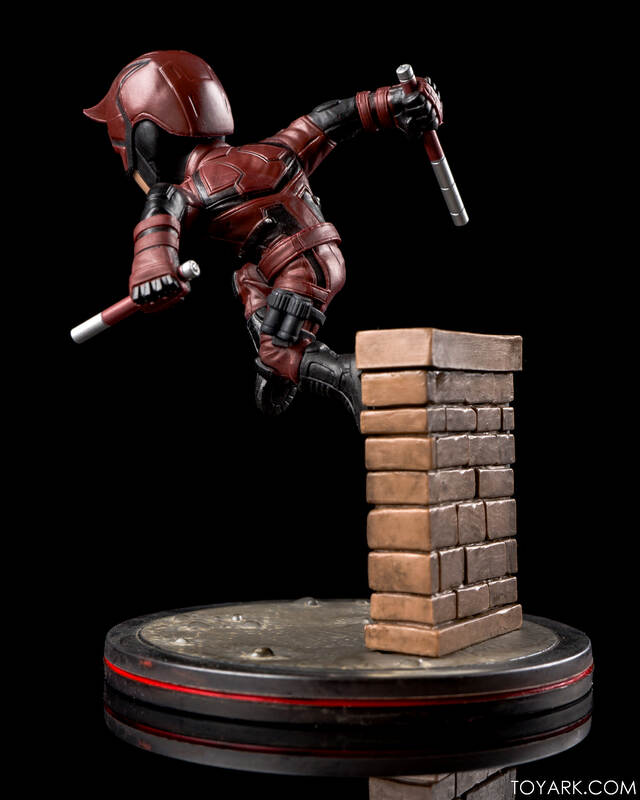 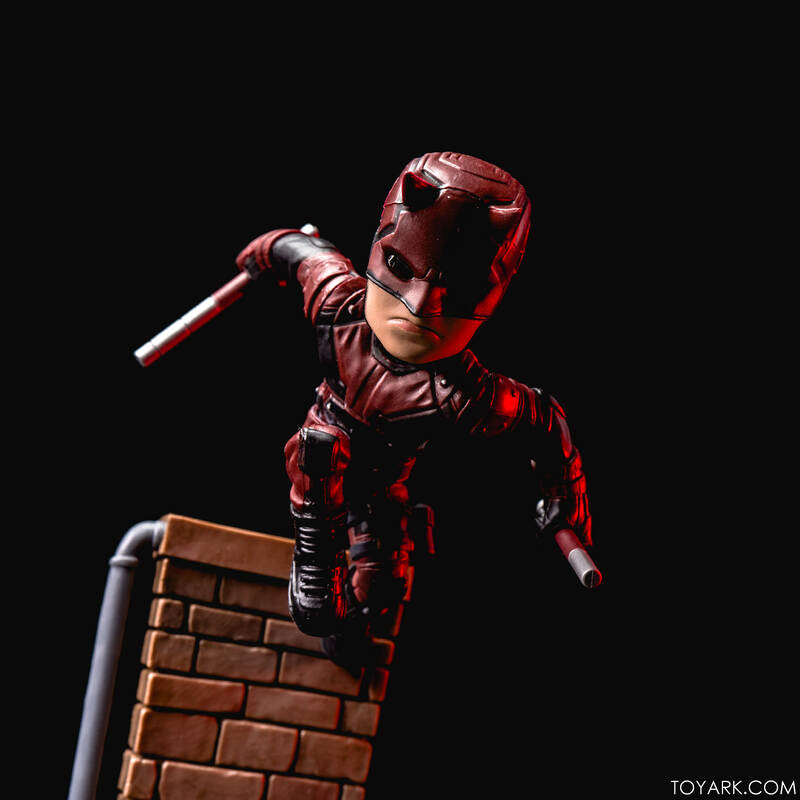 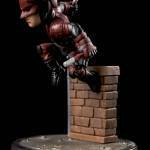 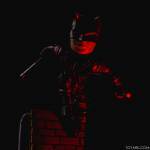 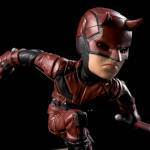 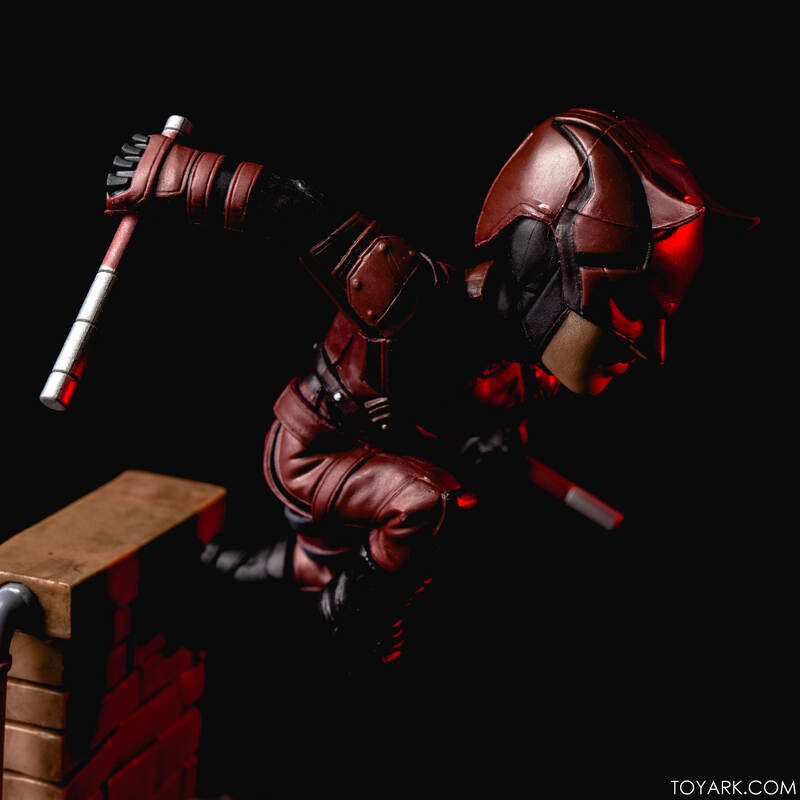 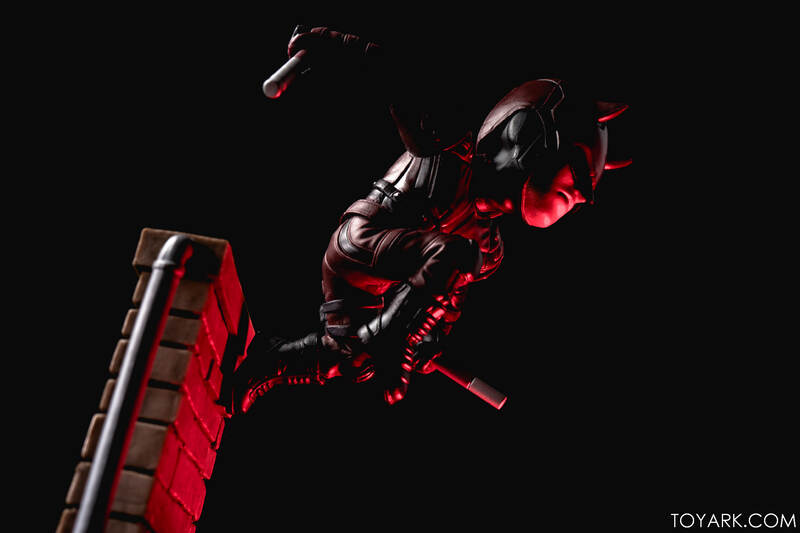 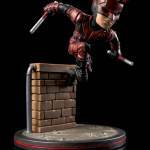 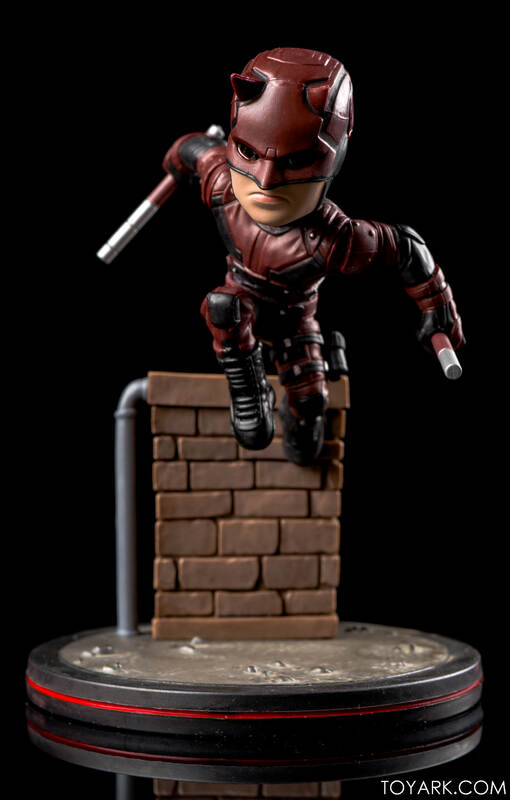 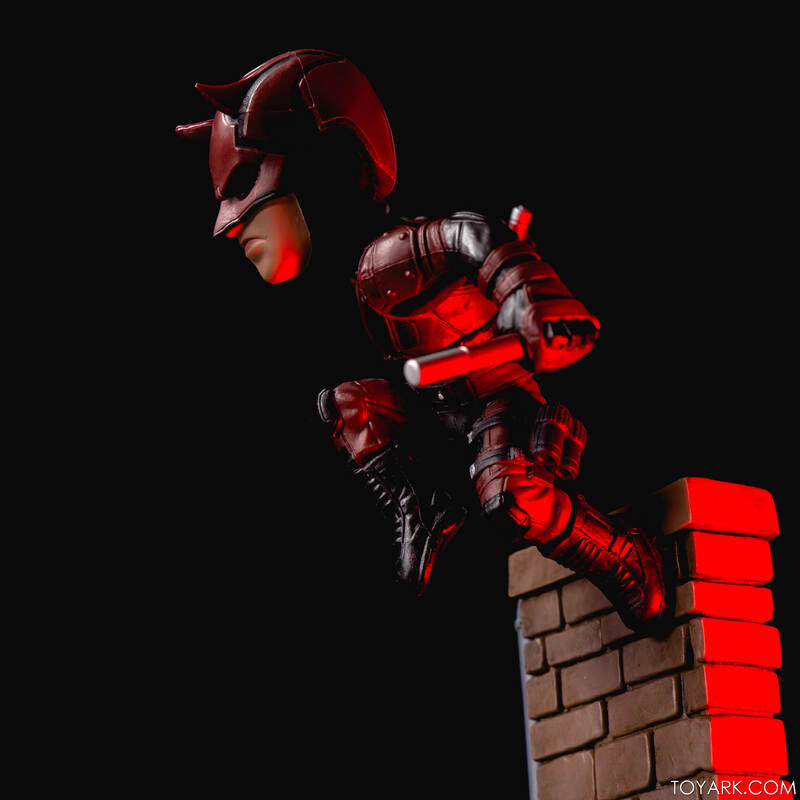 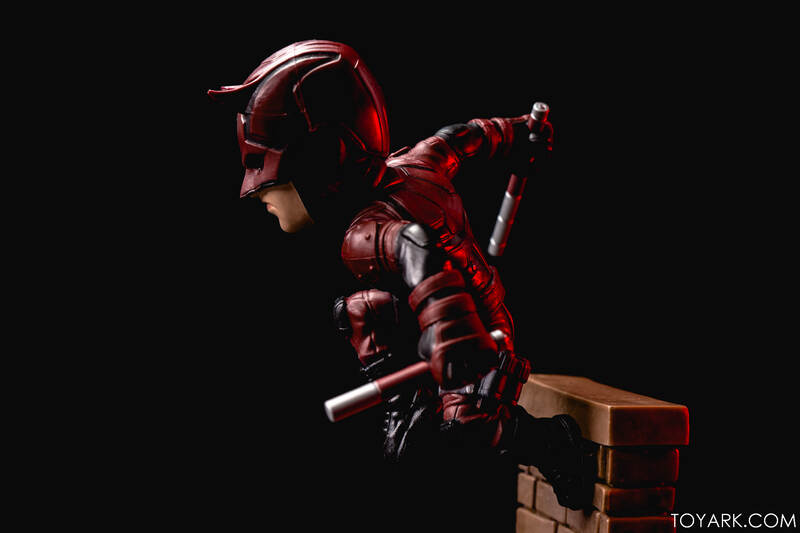 The dynamic pose jumping off a building captures Daredevil perfectly, and the moody detailing yet cutesy style is awesome. 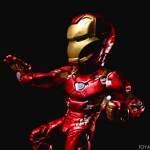 Iron Man is cool due to the base, but I feel a tad Iron Man’d out lately. 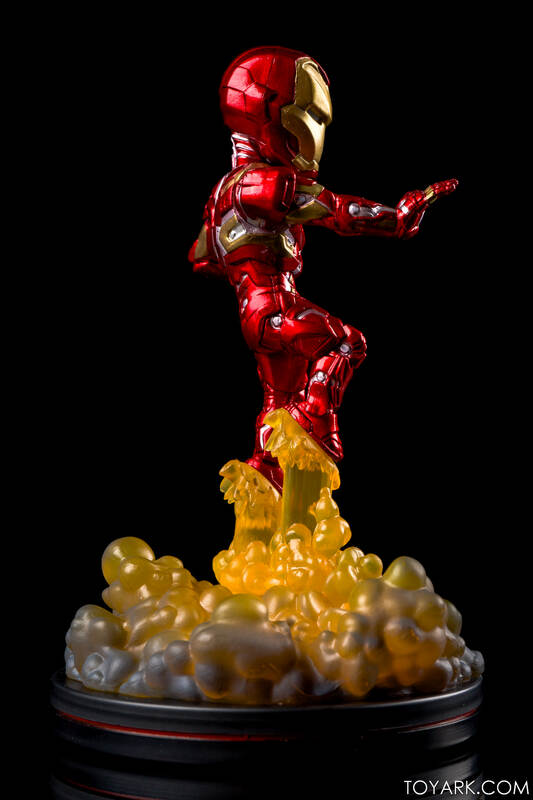 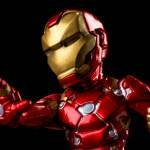 For Iron Man fans though, it will be a great add to a character display area. 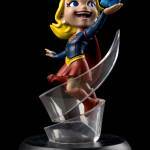 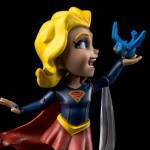 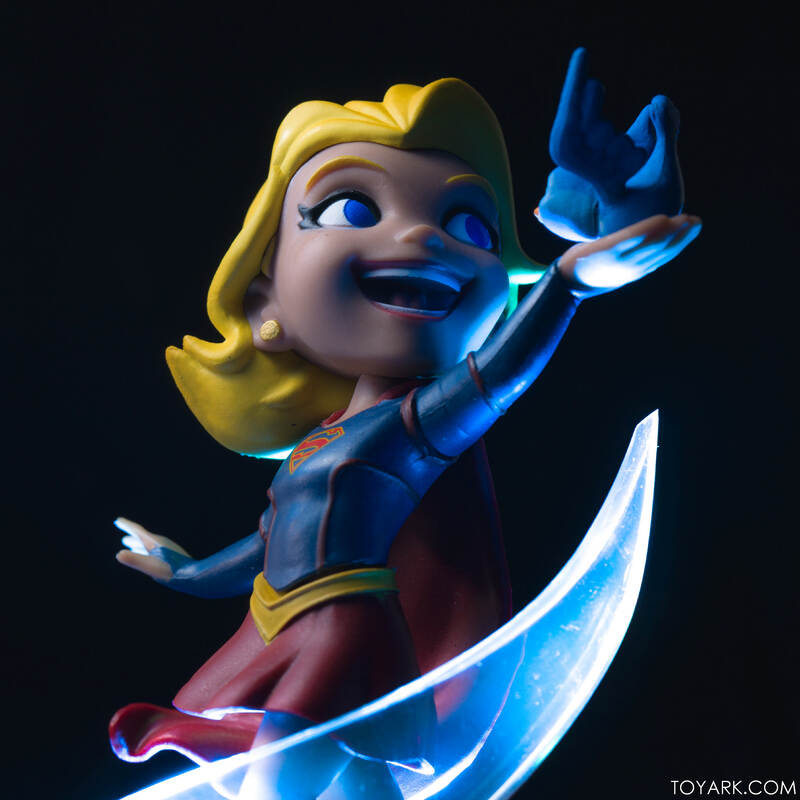 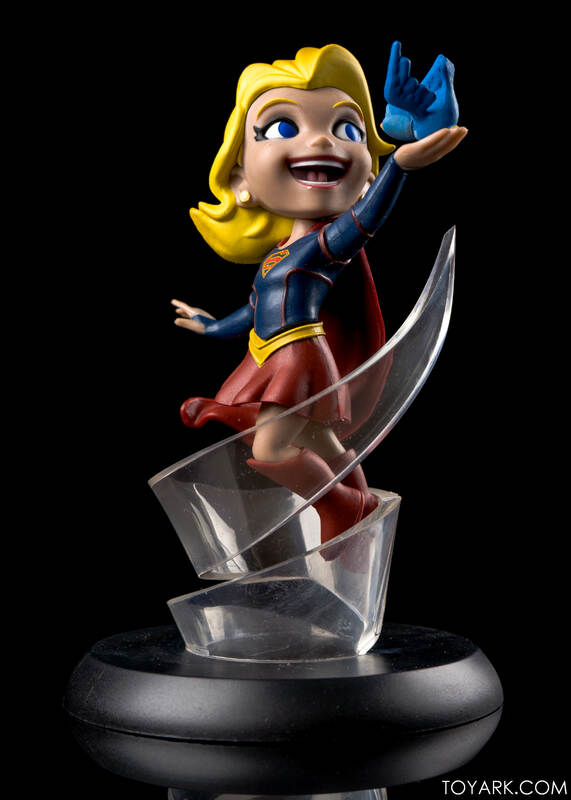 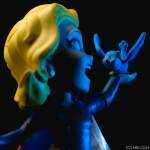 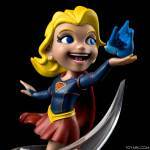 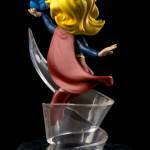 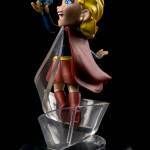 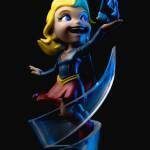 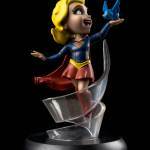 Supergirl is great in sculpt and captures that youthful feel of previous Q-Figs, but the colors are a tad muted. 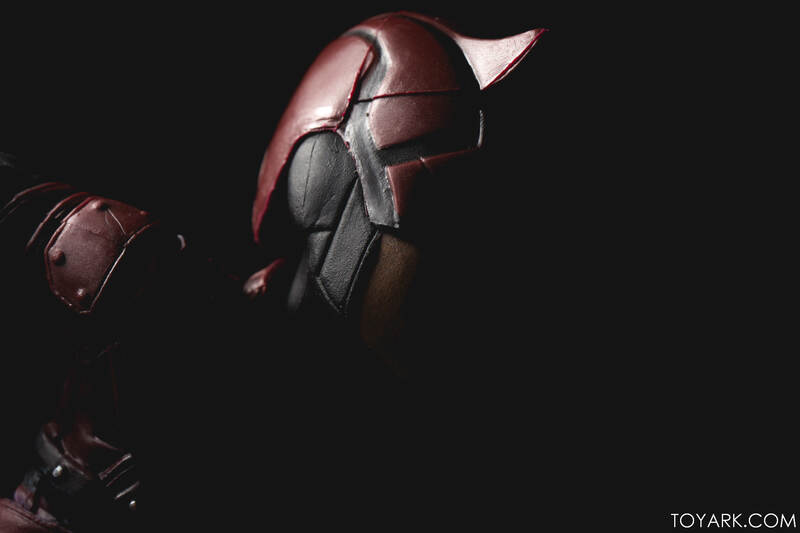 Almost seems like it’s DCEU inspired in tone. 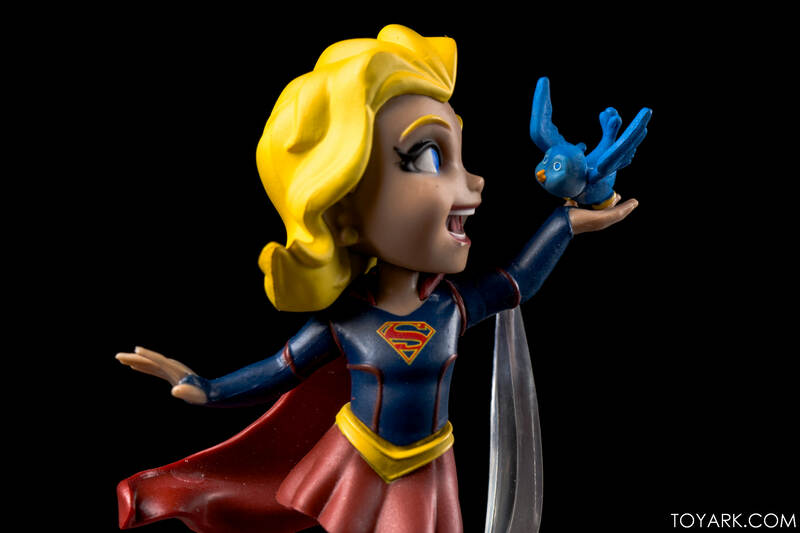 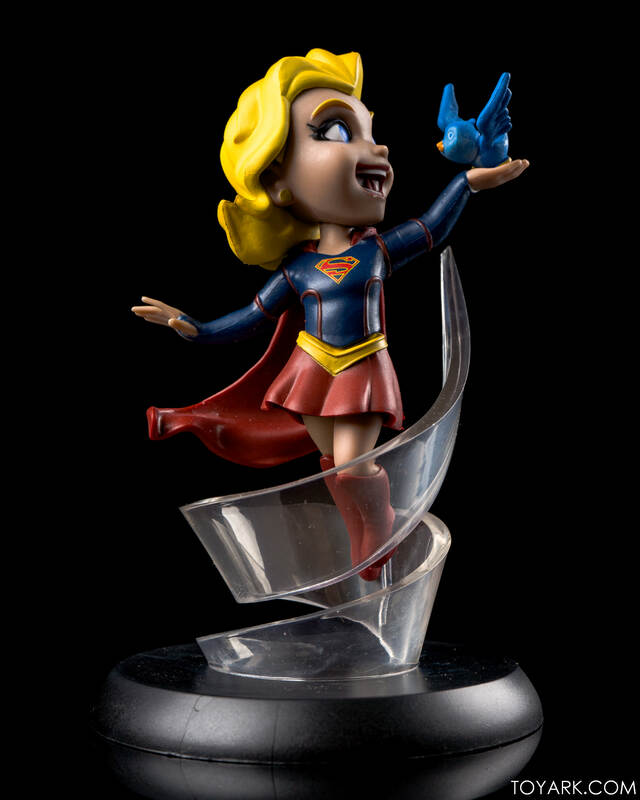 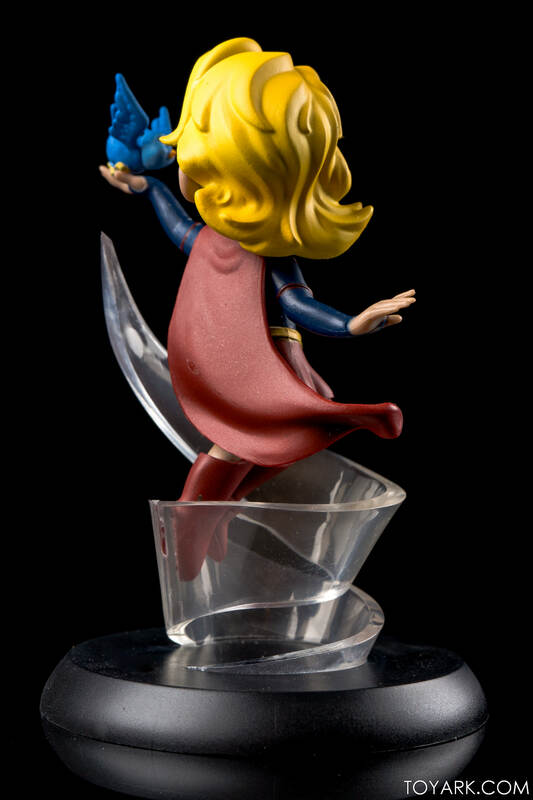 I love the little bird though, it could easily be a Twitter’s “Larry the Bird”, so if you are into DC/Supergirl and Twitter, this will be perfect for your work desk! 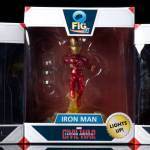 Hit the links above to grab yours, or check out our previous galleries to see some of the other Q-Fig line up. 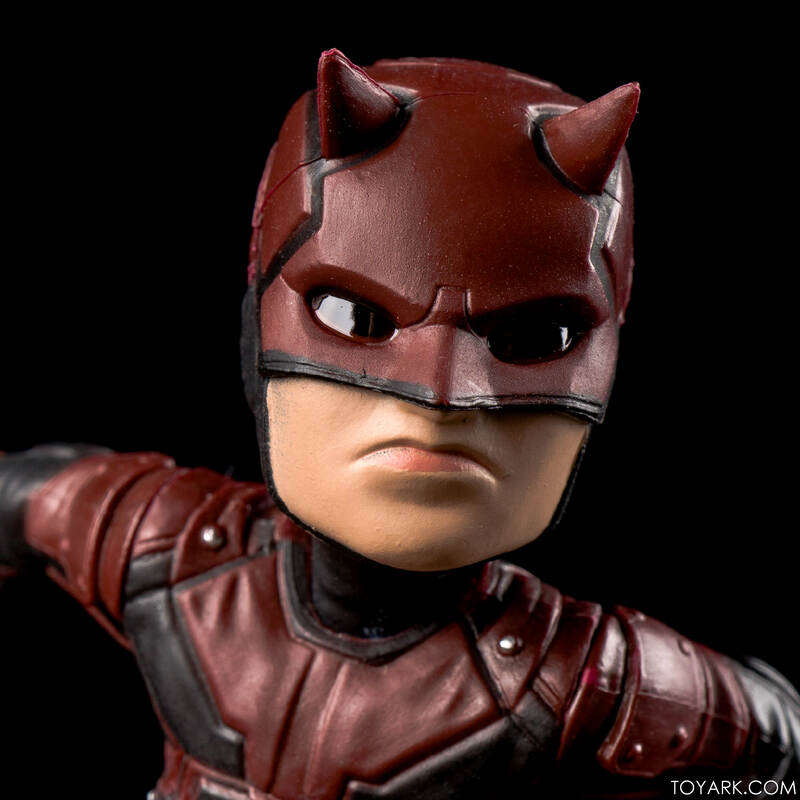 I really like both the Daredevil and the Supergirl. 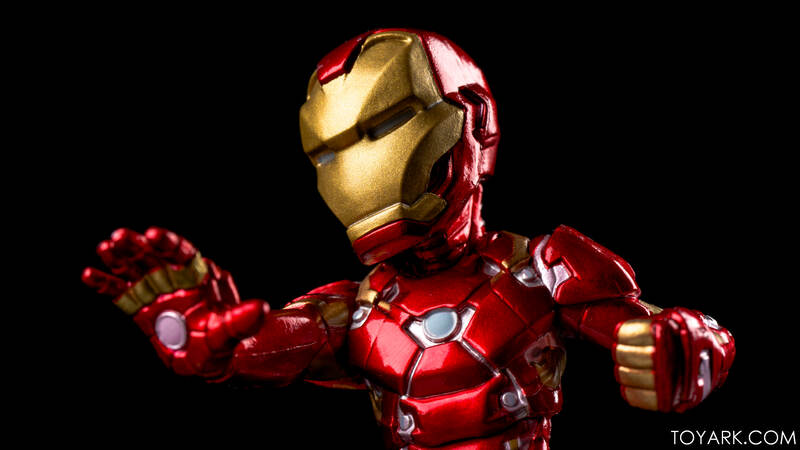 Iron Man has been done to death and I'm tired of looking at him. I see an eventual Frozen redo for Supergirl. Gotta agree on Ironman. 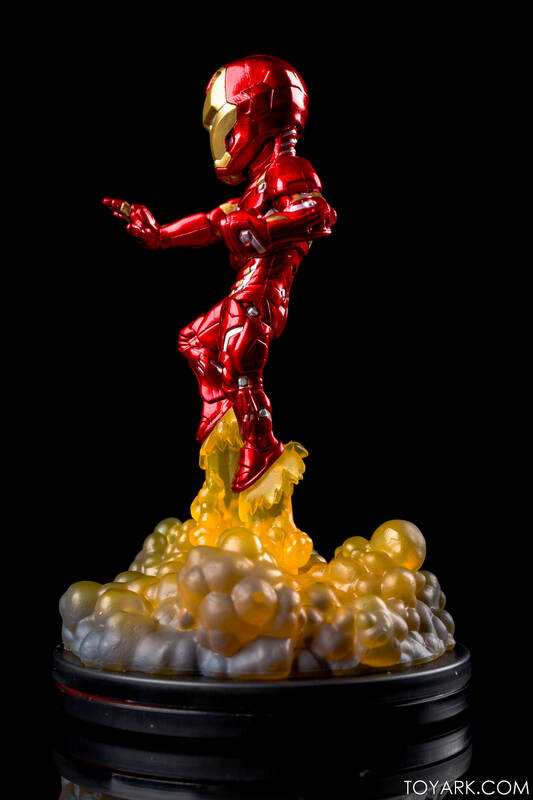 I'll wait for the hopefully Ironheart redo instead. 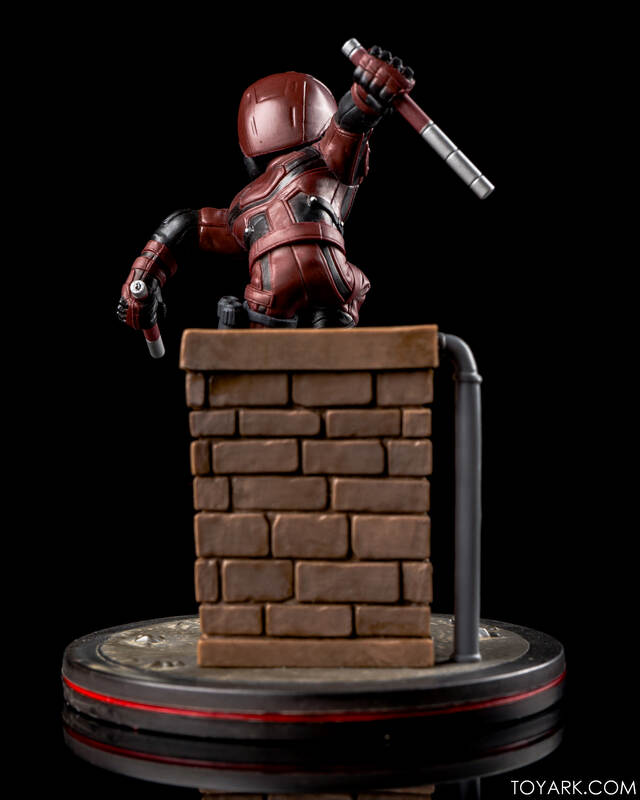 Oooh speaking of which. 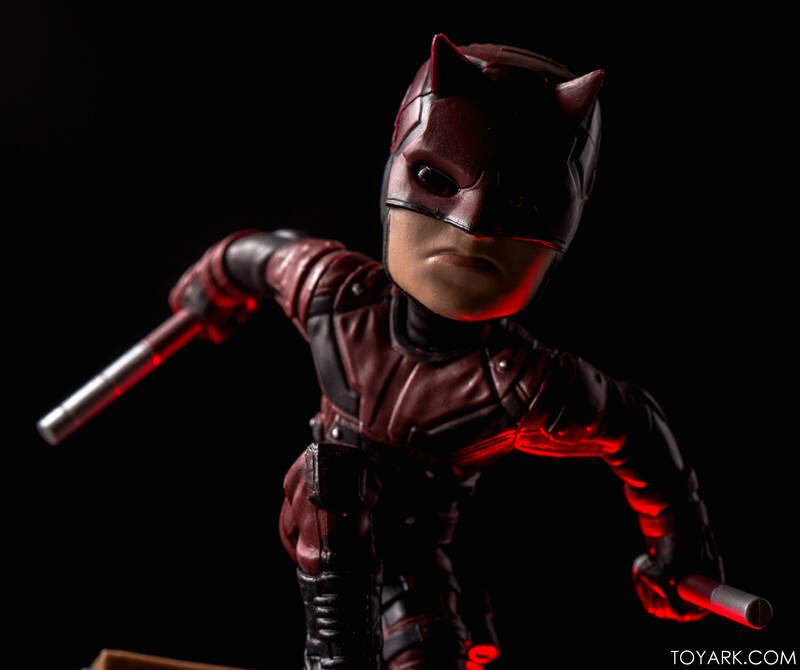 Now I want an All-New Wolverine and Gabby version too!